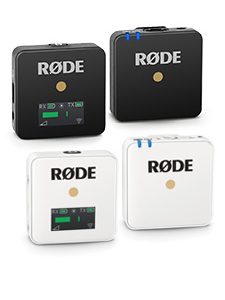 The SMR is a revolutionary shock mount for large diaphragm condenser microphones from RØDE. Featuring a unique double-Lyre suspension system, the SMR enhances the existing superior vibration cancellation of Rycote’s Lyre system by using a smaller inner Lyre to act as a tensioning element. This maintains each Lyre in the neutral position where it is most efficient at cancelling vibration. 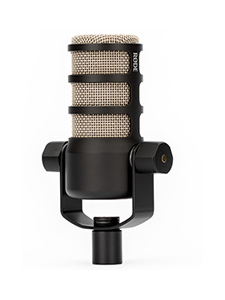 The SMR's removable all-metal pop filter is as effective as it is visually striking, providing an integrated solution for plosive protection that is easily washable and designed to last as long as the shock mount and microphone. The clamping system of the SMR utilises a greater surface area for increased friction and weight handling, without the need for over-tightening of the locking thread. With the load distributed over a greater surface area, the clamping system is virtually immune to the wear and tear of repeated use. The SMR's frame is constructed from an engineering grade reinforced polymer, typically only seen in high-load applications such as safety equipment, automotive components, and military artillery. Vibration force is evenly distributed around the outer frame via the wide mounting rails, increasing the effectiveness of the Lyre system. Efficient and well-considered cable-management completes the package. 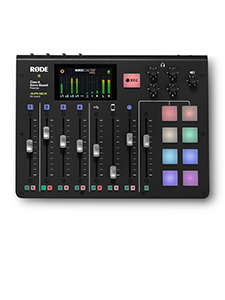 A base nut is also included, suitable for all compatible RØDE microphones.